Malls throughout California To Feature Privé Revaux Kiosks featuring over 100 handcrafted and polarized designer frames, each costing $29.95. Privé Revaux Eyewear is a purveyor of quality goods at a great value. 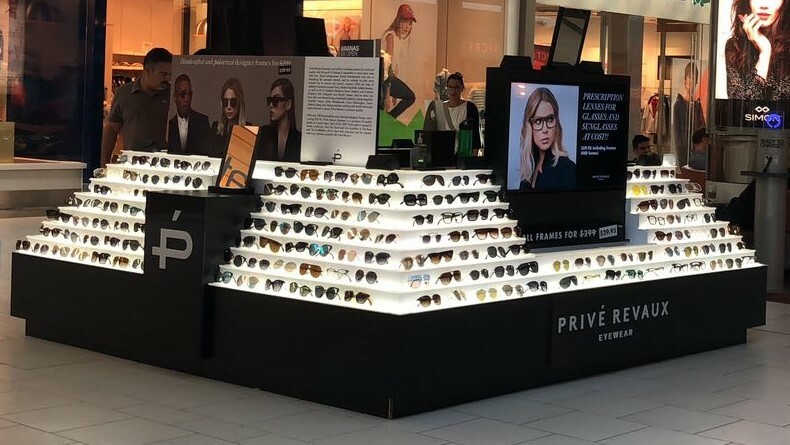 TOLEDO, OH April 9, 2018- Privé Goods, LLC an internationally-recognized eyewear company, has announced the expansion of their brand Privé Revaux using JBC & Associates LLC, the premier direct to consumer mall Kiosk/Pop Up Retail Marketing Company. The Kiosk program will be brought to the West Coast, with stores opening in Southern California Malls in May 2018. Privé Goods, LLC. selected retail marketing experts JBC & Associates to manage the leasing, staffing, daily operations and sales management for the kiosk program. The Privé Revaux Kiosks will offer consumers the latest trends in polarized designer eyewear each costing $29.95. JBC & Associate’s team has successfully managed varying types of retail operations and specialized in turnkey operations. JBC & Associates’ programs offer expertise, customer convenience, increased sales and profits – a benefit for any retail company or manufacturer wanting to expand their retail presence. Toledo, OH based JBC & Associates, LLC, www.jbcassociates.net has programs that provide brands with quick go-to-market blueprints that launch year-round or seasonal direct to consumer retail programs. JBC & Associates, LLC enables companies to launch a new product or service with easy entry into the American market, launch holiday and major event products, test consumer markets, target new locations, collect important consumer feedback to reach a larger demographic.